Central Mountain Air is offering a 50% off promo code today that brings the price of their non-stop flights from Edmonton to Prince George, BC down to between $227 and $278 CAD roundtrip including taxes. 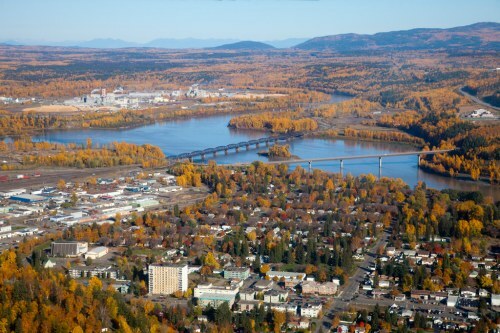 Vice-versa trips are also available for this price (Prince George to Edmonton, BC for $227 to 278 CAD roundtrip). This is a really great price because these new flights with Central Mountain Air are the only non-stop flights between Edmonton and Prince George, with 90 minutes of travel time each way. And as we all know, on flights within Canada, when 1 airline is your only non-stop option, the prices are usually ridiculously high. So it's nice to see some that are priced very well! 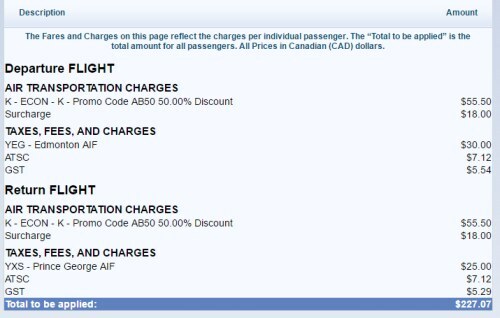 This is even 30% cheaper than your next best option, a 4 hour flight on Air Canada/WestJet, connecting in Vancouver each way. Try dates in the second half of August, September, October, and early November 2017.
edmonton, yeg, flight deals, canada, north america, bc, british columbia, prince george, yxs and central mountain air.